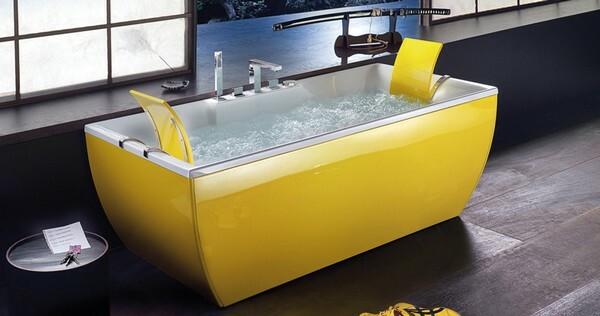 Yellow is the color of the sun that we lack so much, especially in winter. 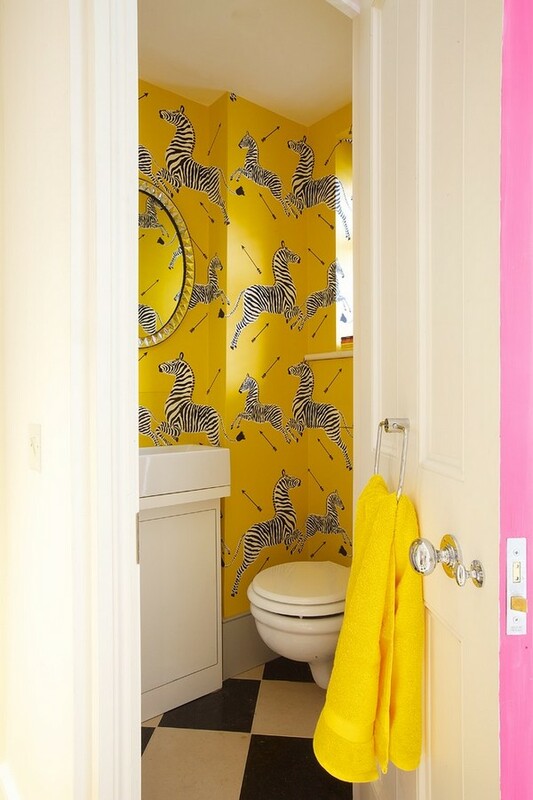 If up to know you haven’t dared to let it in to your interior, this cold January day is the best time. 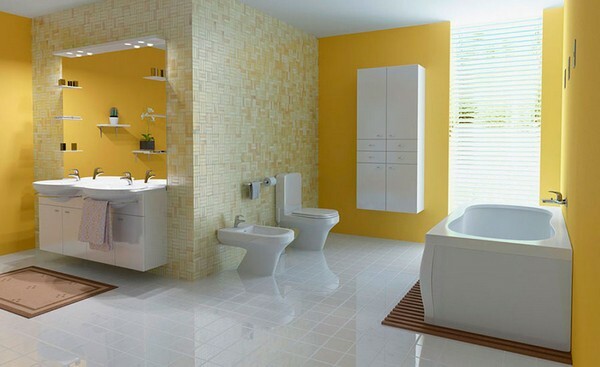 And what can be better for sunny yellow than a bathroom – a place where our energy boost starts in the morning? 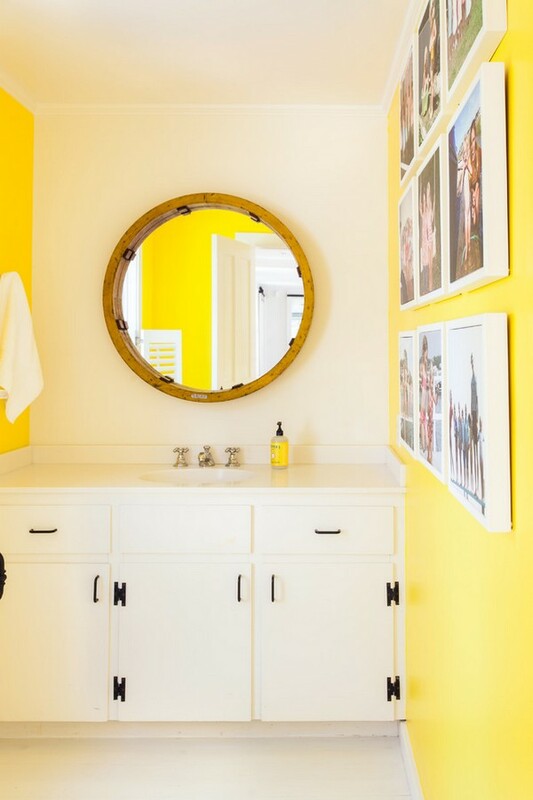 We have collected 25 real life examples of yellow bathroom interiors in different combinations and would like to share them with you. 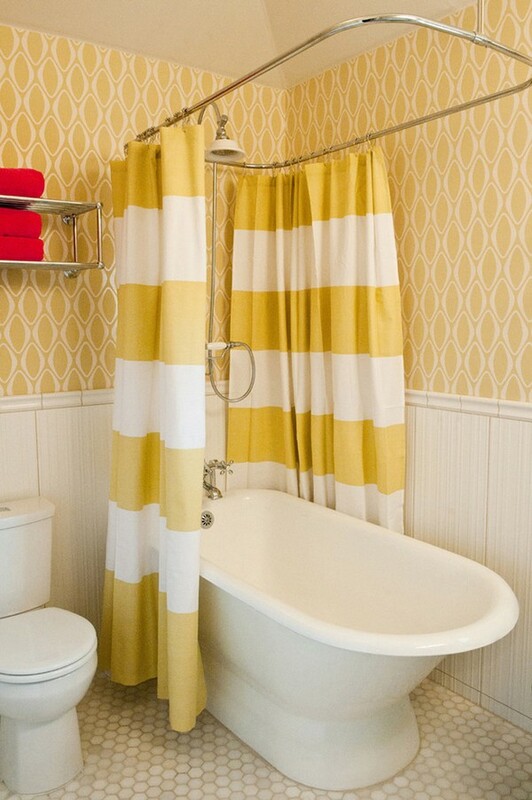 Combination of yellow and white is probably the safest choice possible. 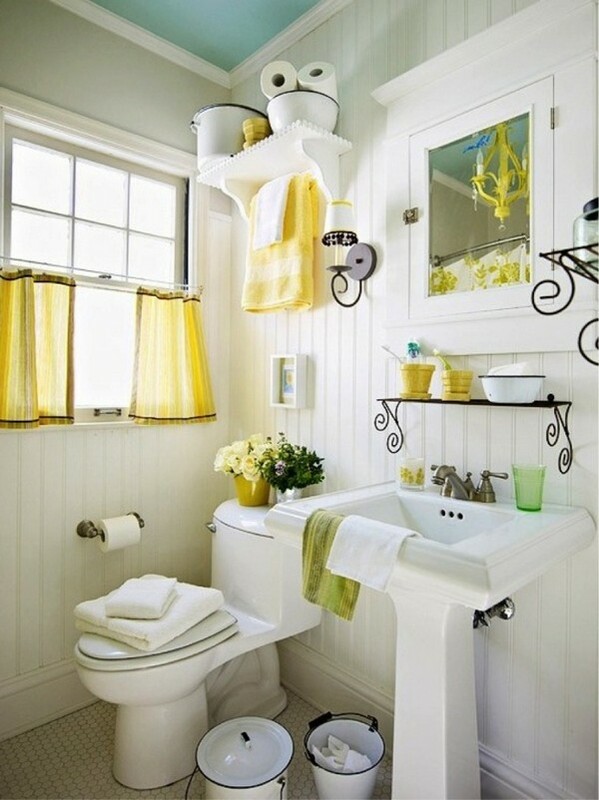 White is absolutely neutral, doesn’t catch the eye and brings the feel of freshness. By setting sights upon such a mixture, you may feel free to play around with textures, materials, shapes, and ratios as well. 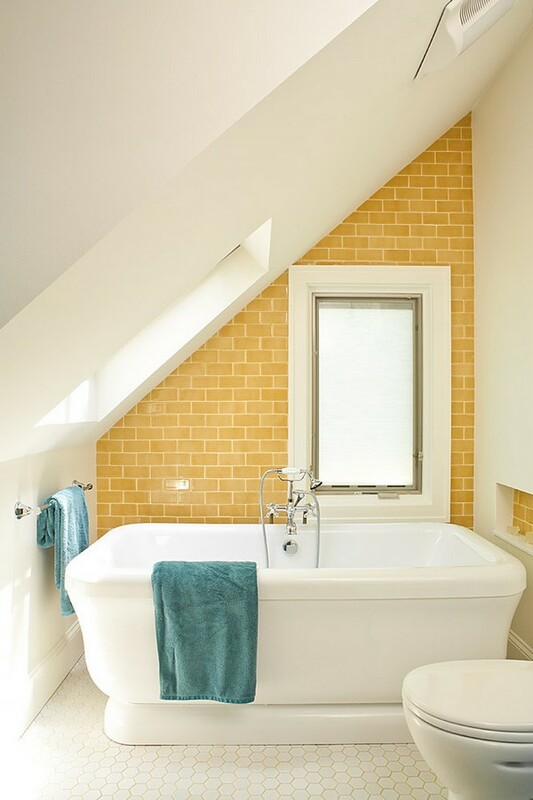 The best places of application for white-and-yellow are too small or windowless bathrooms. 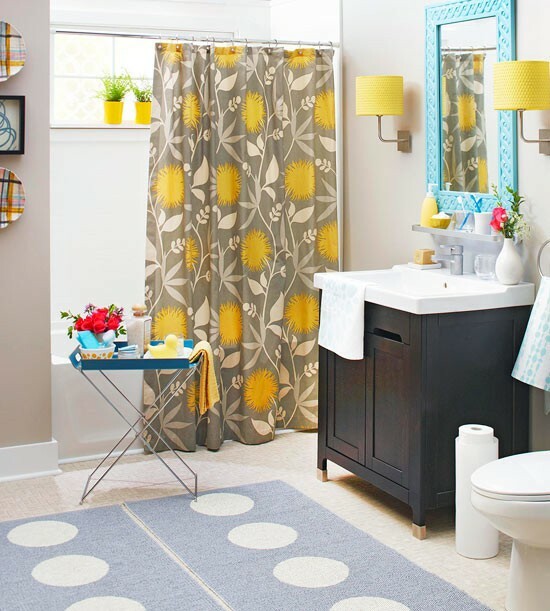 Yellow and light blue couple can evoke pretty versatile associations: from southern summer beaches to autumn sky and falling leaves. 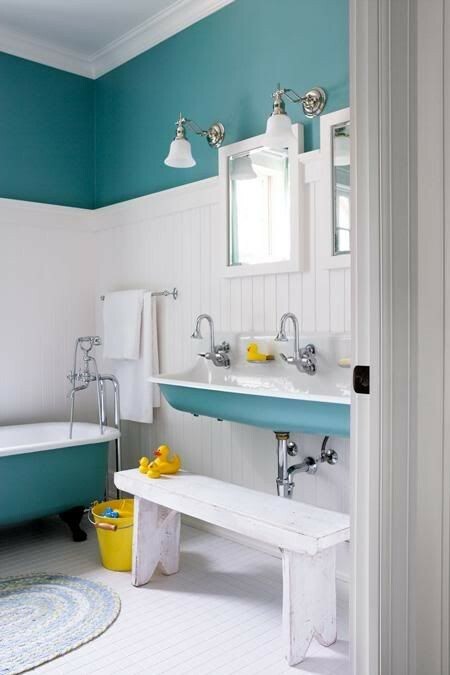 Anyway, these two colors look great together, and blue in the bathroom is immortal classics. 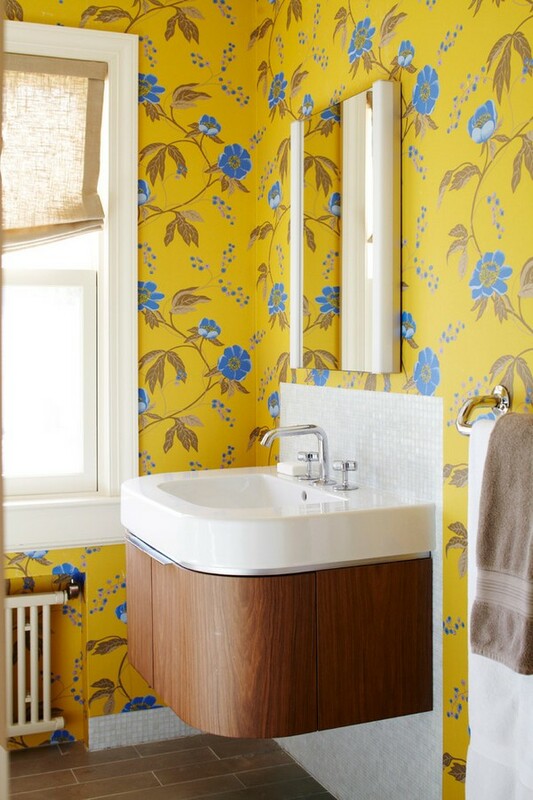 Depending on hues and proportions chosen, the interior may be made warmer or colder. 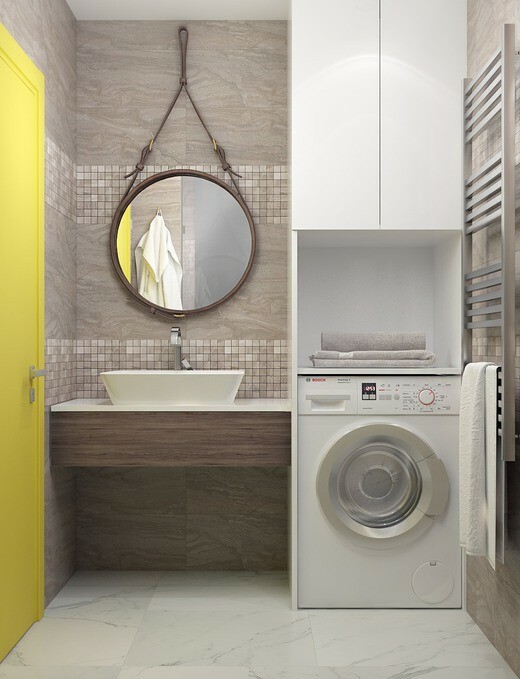 And to make a smooth transition between two different color temperatures, use some neutral connecting hue – white, again. 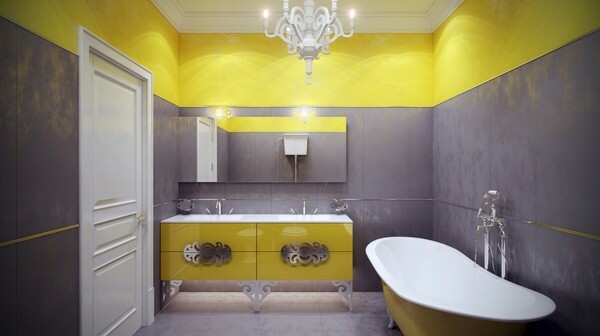 Saturated yellow color must be the most popular shade used by interior designers to highlight the noble and elegant gray. 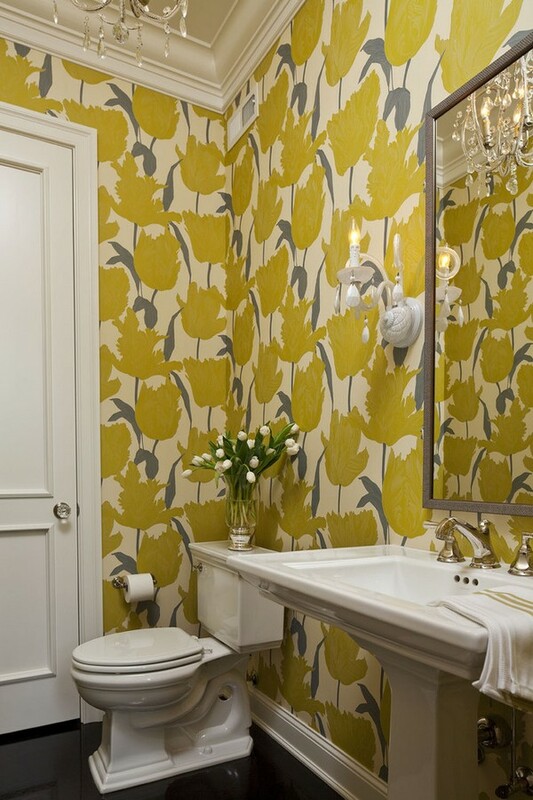 But specialists call on to be cautious about dark gray hues: such a background makes bright yellow accents look too alarming and may arouse negative associations. 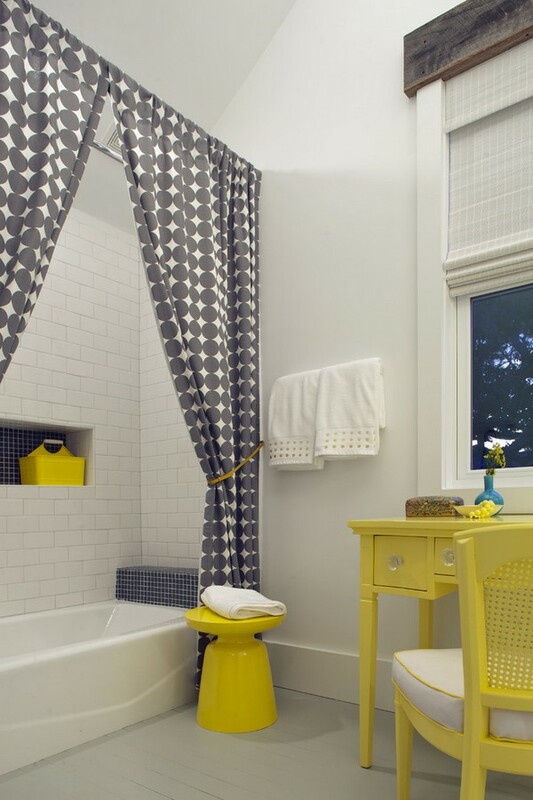 To avoid this unwanted effect, you may optionally select lighter shades of gray, or minimize the use of yellow if you prefer darker grayish hues. 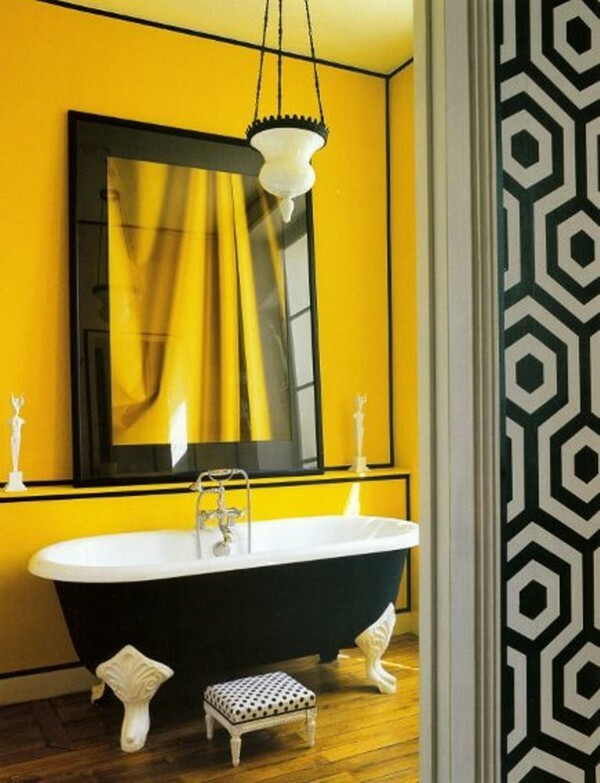 Contrasting black-and-white combination is very good as it is, or with any other third color. 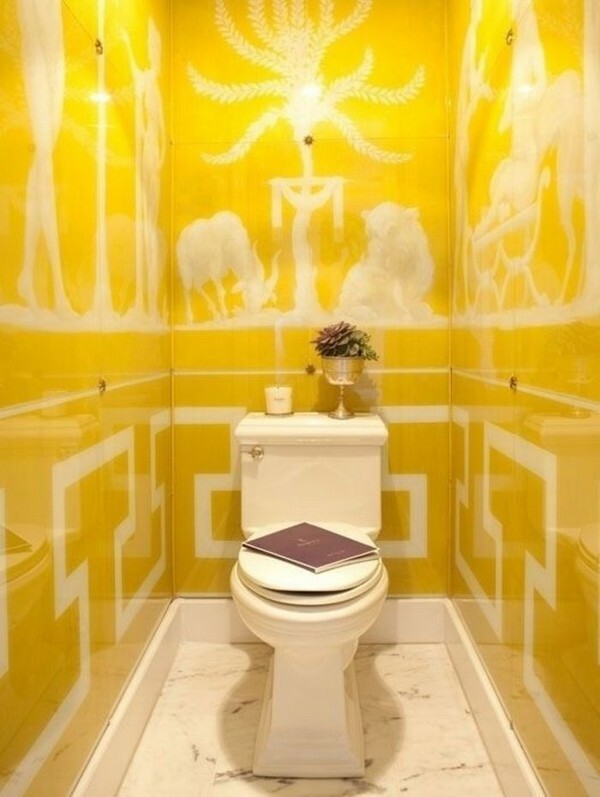 But yellow is a particularly nice choice. 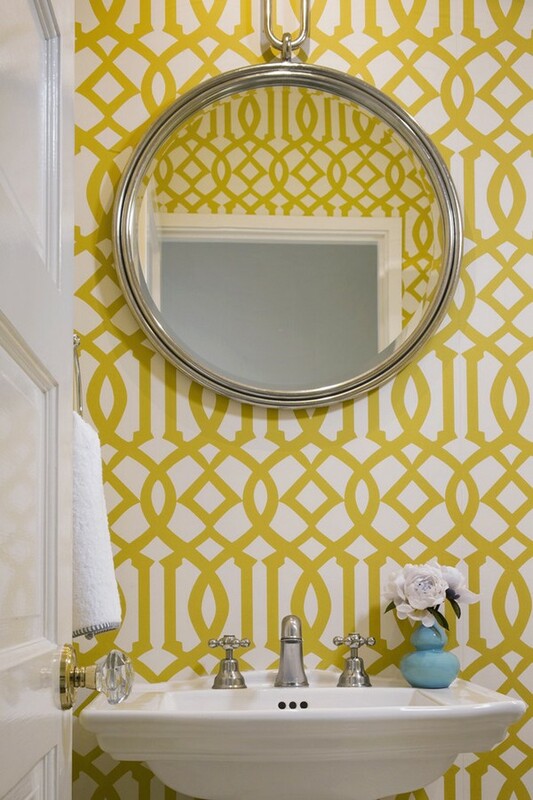 Don’t be afraid to try different proportions, patterns and materials. 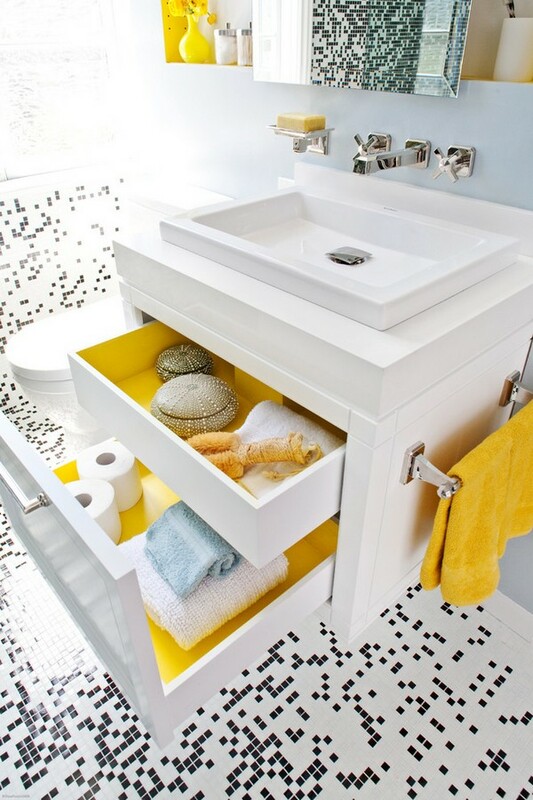 Totally yellow walls and black-and-white tiles with small pattern or black-and-white walls coupled with yellow accents both look very good. 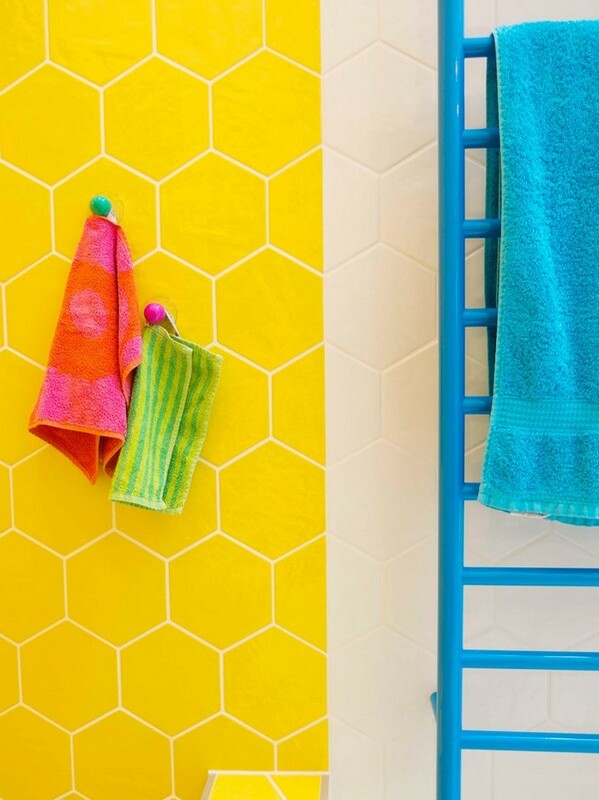 Should you deem sunny yellow extra-bold or too saturated, but you’re still determined to have yellow in your bathroom, try muted hues. 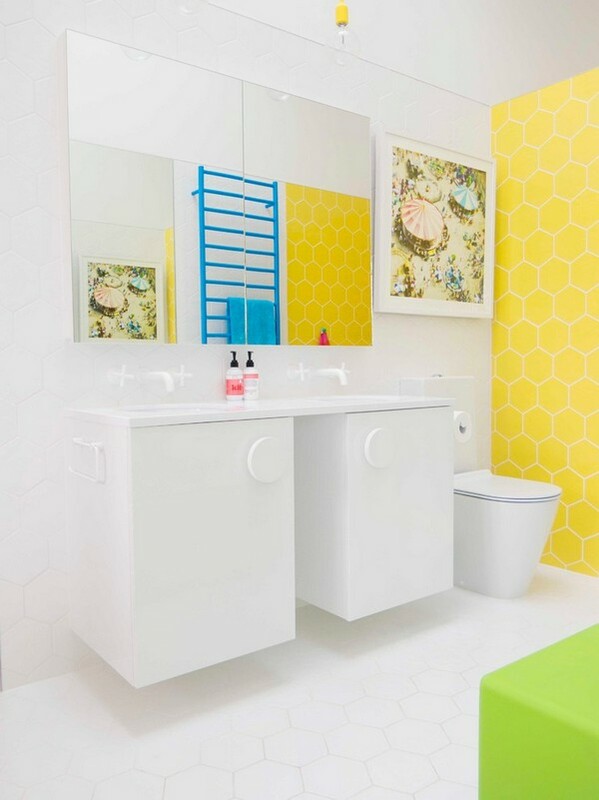 Pastel shades are always a safe choice and give plenty of room for mixing them with each other. 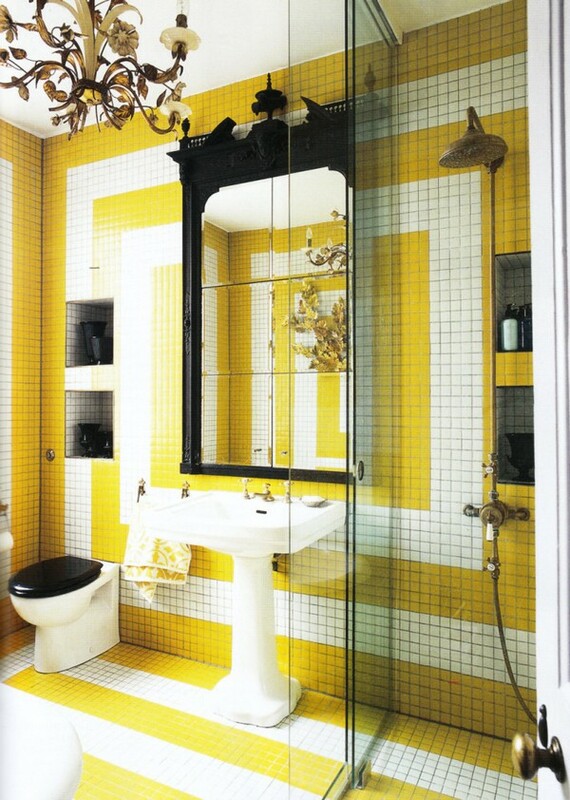 While bright yellow may serve as a color accent in small details: a mirror frame, a shelf or a shower curtain.